How many times have we written about a cancelled Star Wars game here? Even worse is when we tell you about a new game in the making that we’re really excited for, only to find out later, it’s been cut. We hate bringing you news of cancelled games that at one time looked really awesome. Sadly, it seems to happen a lot and we found a great video that showcases that point very well in a history of Star Wars games that have been cancelled. Return of the Jedi: Ewok Adventure starts this video off. This was a cancelled Atari game that looks like it might have been a lot of fun. Then there was a spinoff to the Jedi Knights series. Then there was a game that would never be called Proteus. It was meant to give the console gamers something good to rival Star Wars Galaxies, which the PC gamers had been enjoying for some time now. Then there was KOTOR 3, which sadly never came to fruition, either. With how popular KOTOR 1 and 2 were, fans were super excited for KOTOR 3 and rightfully disappointed when it was cancelled. What other Star Wars games were cancelled? Watch the video below to see them all. 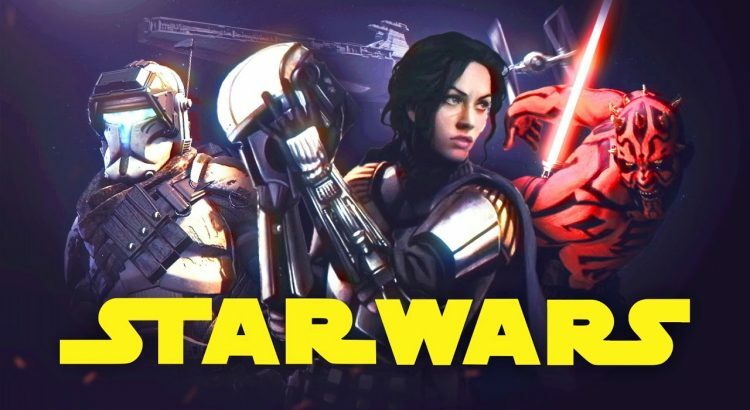 Which cancelled Star Wars game were you the most excited for? If you give them a lot of likes, they’re going to follow this video up with a Part 2 so if you liked it, be sure to hit that “like”.